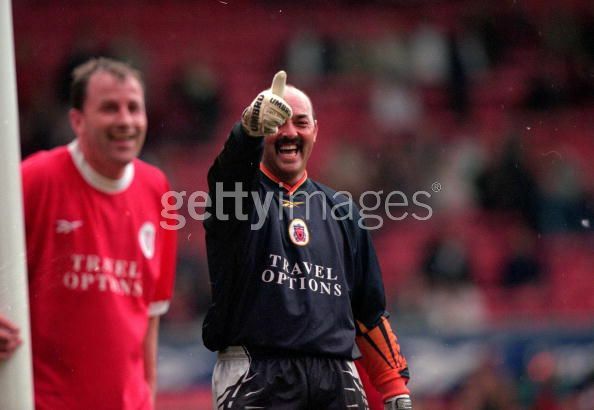 Liverpool organized the Ronnie Moran Testimonial on 16 May 2000, to commemorate the retirement of Boot Room staff Ronnie Moran. 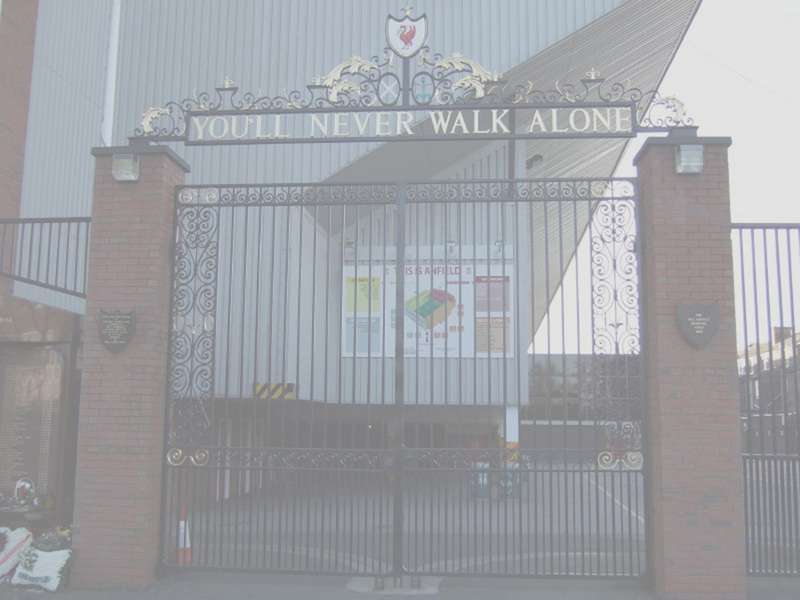 The match was played between Glasglow Celtic and Liverpool. 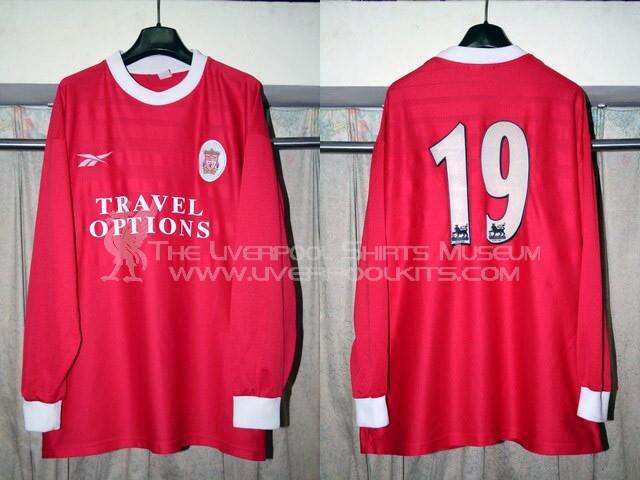 Liverpool Legends played in the match in the 1998-2000 home shirt with a special shirt sponsor. 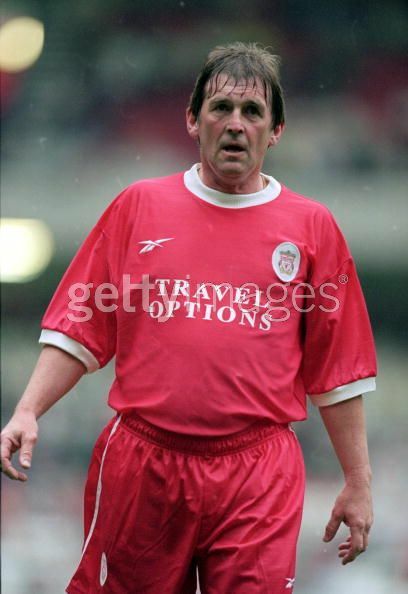 Featured King Kenny Dalglish wearing the Ronnie Moran Testimonial Player Shirt in action. The shirt sponsor is Travel Options instead of Carlsberg. 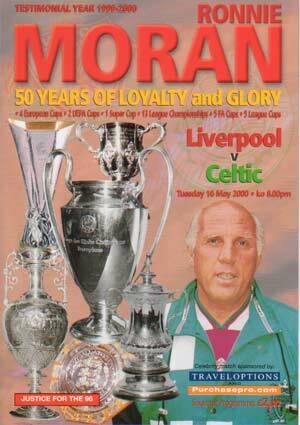 Match Programme of the Ronnie Moran Testimonial, played on 16 May 2000. 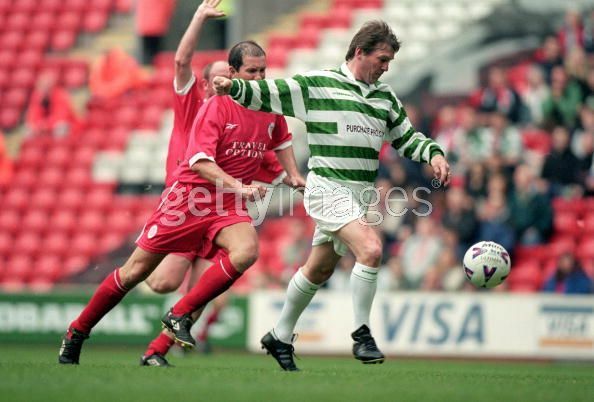 Featured King Kenny Dalglish wearing the Ronnie Moran Testimonial Player Shirt in action for the Celtic side. The shirt of Liverpool's side bears the Travel Options sponsor logo. Featured Bruce Grobelaar wearing the Ronnie Moran Testimonial Player Shirt with the Travels Options.